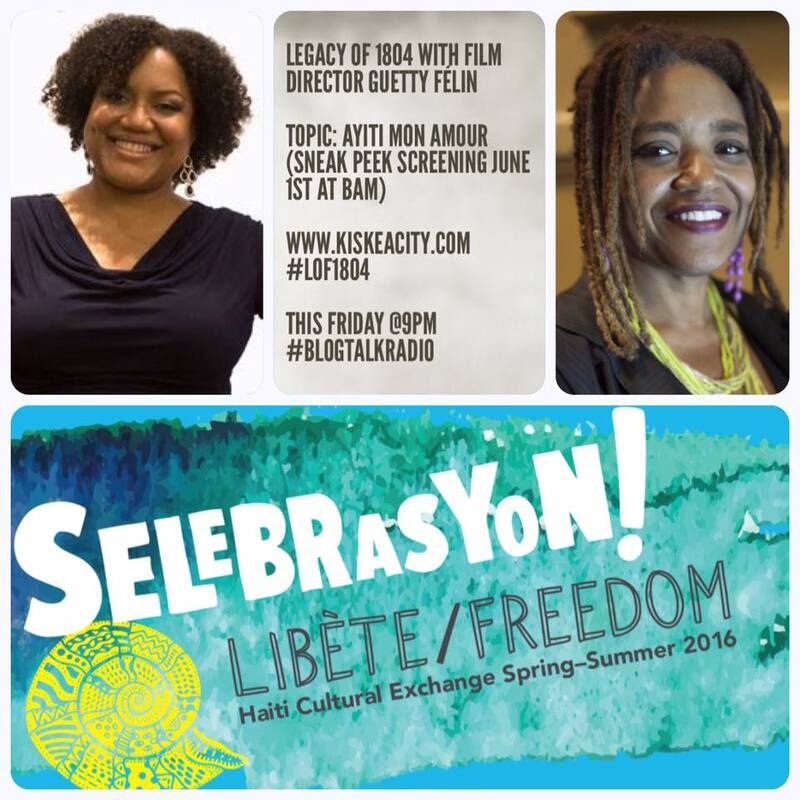 Join me this Friday at PM as I welcome director Guetty Félin to discuss her new film Ayiti Mon Amour being screened on June 1st at BAM as part of the Selebrasyon! Festival. View pre- and post-show notes at www.kiskeacity.com. 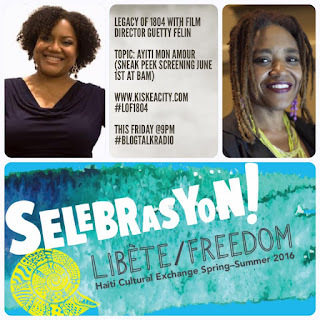 Listen live or on demand on the player below or at http://www.blogtalkradio.com/pancaribbean/2016/05/28/legacy-of-1804-with-director-guetty-flin-ayitimonamour-lof1804. Listen LIVE ONLY on the phone at (714) 242-6119.